More than a year after a contentious hearing and subsequent lawsuit over the planned Aqua by the Bay, a Manatee County judge has ruled that the massive housing project may move forward. Aqua by the Bay is a Medallion Home development that is slated to bring 2,384 multi-family and 510 single-family homes to the area along Sarasota Bay. There will also be 78,000 square feet of commercial space, according to the general development plan. Manatee County commissioners voted unanimously to approve the development on Oct. 3, 2017. Just one month after the board’s decision, environmentalist group Suncoast Waterkeeper Inc. and a host of other plaintiffs, including former county commissioner Joe McClash, filed a lawsuit against Manatee County, claiming that they were not afforded due process in the approval of the 529-acre development between El Conquistador Parkway and Sarasota Bay. In a 21-page opinion, Circuit Judge Gilbert A. Smith Jr., however, said there is precedent that the public is not entitled to due process without being a party in the case. A Medallion Home spokesman could not be reached Wednesday to comment on how the ruling may affect the timing of the project’s construction. “Contrary to Petitioners’ assertions, courts have held that participants are not afforded the same due process protections as parties,” Smith wrote. The two parties in the quasi-judicial case were the Manatee County Board of County Commissioners and Long Bar Pointe, LLLP. Smith pointed out that members of the public did participate in public comment. The crux of the opponents’ argument was that the development, namely two concepts — a sea wall and an estuary enhancement area between the development and a shoreline of mangroves that would be 20 feet wide and 8 feet deep — that did not make it to final approval, would harm the environment. During the extended recess of the October 2017 hearing, developer Carlos Beruff agreed to strike those plans. Without those elements, the environmental impact of the project shrunk to 7.93 acres. Thirteen members of the public stuck around to provide public comment regarding the changes they had asked for, but the lawsuit claims they did not have the chance to have an expert review the adapted proposal. Smith said that’s not a right the public is entitled to, either. “Petitioners present no authority to support their contention that they are entitled to have experts review and present to testimony regarding updates to the [general development plan,]” Smith wrote. Beruff’s updates to the general development plan were enough to appease commissioners. “The applicant has done everything I have asked. I have no right to oppose this project based on who the applicant is,” former Commissioner Charles Smith said at the time. Suncoast Waterkeeper released a statement regarding Smith’s ruling on their Facebook page Wednesday morning. The Aqua by the Bay community spent more than 10 years working its way through Manatee County government before finally being approved. It was formerly known as Long Bar Pointe, which included plans for condos, hotels, a marina and a conference center. Willis Smith Construction was recently awarded the construction contract for Phase One of the Master Plan for Marie Selby Botanical Gardens. The infrastructure will span along the botanical gardens’ 15 acres of Bayfront property. The project will preserve and protect Selby Gardens’ world-class collections and create a future with 50 percent more green space for the Gardens. Once completed, Selby Gardens will possess the first Certified Net Positive Energy Complex at any botanical garden in the world. Further, the onsite restaurant will be the first Certified Net Positive Energy Restaurant in the world. Phase One of the Master Site Plan will consist of a multi-story visitor services facility, the Sky Garden, that will include retail space, 221,000 square foot of parking and a destination restaurant operated by Michael’s on East. Each exterior wall of the Sky Garden will become a living facade to facilitate the green building technology. The Certified Net Positive Energy designation will achieve PETAL certification as part of the Living Building Challenge. This advocates regenerative spaces that connect occupants to light, air, food, nature, and communities that produce more energy than they use. A solar power system will be atop the roof of the Sky Garden. The solar arrays will be capable of generating 840 kWh per year. Underground water storage will house cisterns for rainwater collection holding 250,000 gallons of water for non-potable water usage. Plans for the future Jean Goldstein Welcome Center and Steinwachs Family Plant Research Center have been envisioned. The 27,700 square foot welcome and research center will include a welcome gallery, horticulture and herbarium shop, theatre, administrative offices, library, and laboratory. Plans also include the implementation of the “living” green wall systems within the facility. The improved facility will further enable Selby Gardens’ scientific research specializing in the conservation, display and study of epiphytic plants; continuing education; additional exhibitions and increasing partnerships internationally. The Master Plan will encourage and galvanize recognition of the work performed by Selby Gardens, while enriching the experience of guests from around the world. Pending permit and zoning approvals, Phase One of the Master Plan could begin as early as fall 2019. The Project Team will include Willis Smith Construction, Overland Partners, Kimley-Horn, and OLIN. Willis A. Smith Construction, Inc. is a construction management firm headquartered in Lakewood Ranch, primarily serving Southwest Florida since 1972. The company has a longstanding reputation for superior construction and offers its clients particular expertise in the areas of commercial, industrial, education, healthcare, museum specialty work and sustainable construction. Willis A. Smith Construction serves to promote excellence and integrity in the construction industry while contributing to the betterment of our clients and the communities we serve. If you would like more information about this topic, please contact Peggy Kronus at 941-366-3116 or email at pkronus@willissmith.com. The Sarasota County Commission adopted the new Unified Development Code (UDC) on November 27, 2018 with an effective date of January 1, 2019. The UDC updated and combined the county's Land Development Regulations (former Chapter 74 of the County Code) and Zoning Regulations (former Appendix A of the County Code). Combining the Land Development and Zoning Regulations streamlines the ability to find significant regulatory information applicable to any given piece of property within unincorporated Sarasota County, and clarified the two regulatory codes as they were brought together. It also removed inconsistencies and addressed those provisions that were outdated, ineffective or obsolete. The County wishes to thank all of the participants that contributed to this effort. Your dedication to the community is greatly appreciated.Please stay involved and check back with the UDC web page for further refinements and additional tools that will be added to the site as the UDC is implemented. Sarasota County invites all interested individuals to access and review the UDC on the county web page at www.scgov.net (Keywords: 'UDC'). Jon F. Swift Construction was recently awarded the contract for the utility infrastructure portion of Quay Sarasota by GreenPointe Holdings, LLC. This phase of the project will include all underground utilities including water, sanitary sewer, storm sewer and FPL. The project also includes all curbs, sidewalks and roadways for future development. Construction is planned for completion Summer of 2019. “We are excited about the opportunity to provide the first phase of construction for the Quay, said President and Project Manager of Jon F. Swift Construction, Jason Swift. “The Quay has always been an icon in Sarasota and with the plans from GreenPointe Holdings, I know this will be a crown jewel of our community,” Swift added. Florida led the nation in construction job growth over the past year, according to a new report. Contractors added 70,700 workers to their Florida payrolls, a 14.8 percent growth rate, in the 12 months ending in September, the Associated General Contractors of America reported. Florida topped the U.S. both in the number of new jobs and the annual percentage gain. But some of that growth rate could be skewed, analysts say, by the sharp drop in employment in Florida last September after Hurricane Irma. In the Sarasota-Manatee area, construction in the employment sector rose over the year by nearly 10 percent, or 2,200 jobs, the Florida Department of Employment Security said last week. A total of 24,700 were taking home paychecks from the industry. In Charlotte County, construction jobs increased by 300, or 8.3 percent, to a total of 3,900. Forty-five states added construction jobs over the year, the contractors’ group said. “Construction activity is expanding nearly everywhere, as only three states experienced a decline in construction employment over the past year,” said the group’s chief economist, Ken Simonson. “These results show that contractors remain upbeat about demand for projects going forward. A labor shortage continues to hamper construction in Southwest Florida, slowing some large-scale developments by months. Many of the subcontractors who perform most of the labor at constructions sites — from carpenters to plumbers to drywall installers — say they cannot find the staff to handle the surge of home, condominium, apartment, hotel and retail projects underway or planned. A recent survey by the contractors’ group found that nearly 80 percent of Florida construction firms were having a hard time filling some or all of their positions. The construction workforce in Sarasota-Manatee peaked at 31,800 in April 2006 but plunged to 14,900 in 2011 during the economic downturn, when building all but ceased and workers were forced to leave town or find other ways to earn a living. Florida ranked 22nd nationwide for over-the-month growth, adding 1,600 construction workers from August, a 0.3 percent increase, the contractors said. Construction employment declined in 17 states for the month. Last month, Florida’s unemployment rate reached its lowest mark since February 2007, falling from 3.7 percent to 3.5 percent, the state Department of Economic Opportunity reported last week. Payrolls expanded by. 4.8 percent over the year, but analysts say yearly comparisons are difficult because of the decline in year-ago employment after Irma. 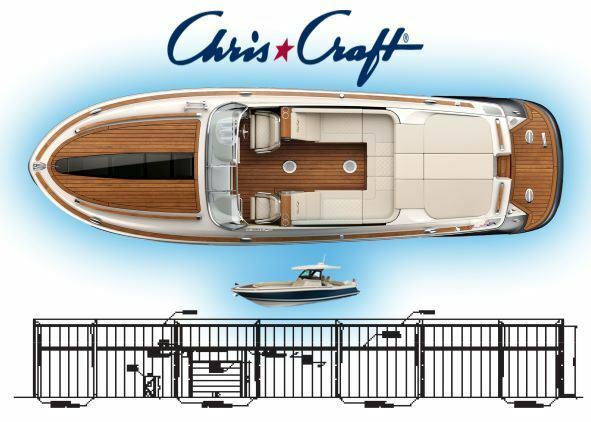 GATES Construction has been awarded a new project at Chris-Craft located in Sarasota. To accommodate the rise in demand for their watercraft sales and service, GATES will expand the Chris-Craft manufacturing facility with a pre-engineered metal building to increase production area. The building is to be constructed as part of a multi-phased expansion plan at this location. This project is slated for completion in the winter of 2019. Design services are provided by Gregory K. Wall AIA, P.A.